It is fascinating to how subjective the film has been for everyone; it has shifted across a range of genres including comedy, the western, men on a mission and as you recategorise it – ‘tragedy’, which I guess in a bizarre way it so. The opening reconstructs the opening to a number of Sergio Leone westerns. Bringing in ‘The Conformist’ really does lift the intellect of Tarantino – it makes for probing ideological parallels. Excellent work, one of the best things I’ve read on Tarantino thus far. I too feel that Tarantino is underplaying himself in the media. I would love to see a non-American interview of him sometime! I guess I misinterpreted your comment. Do you mean a review of IB is there in Cahiers? I am not able to view an online copy… (I am able to access only a 2007 issue). Do you have the hard copy? Very interesting analysis, thank you. I saw IG three weeks ago, very impressive and stimulating. 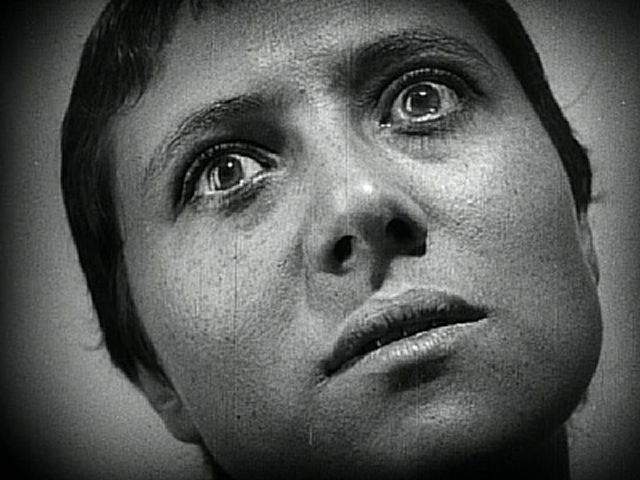 The Passion of Joan of Arc, is there a film with more big faces?, came to my mind when Shoshanna’s face superseded Zoller’s (a big face too). I found your page looking for support for my Joan of Arc idea. I am composing an article on my ideas about the film. Now I see via the Cahiers article you link in a post above that Tarantino confirms the association too. Good catches. Still I think there is another parent film for the shot. The lighting, wisps of hair trigger a memory, but vague. I thought maybe Eisenstein’s faces in Battleship Potemkin. The full length “Nation’s Pride” has multiple Potemkin borrowings. If you don’t have the IG disc, you can view it at youtube. But Nation’s Pride, which I have seen, sure does borrow a lot from Eisenstein’s film. Thanks for your well-informed (of course) info on Soviet cinema. Since seeing IG I had a nagging idea I should view Das Blaue Licht again. Viewed it last night. 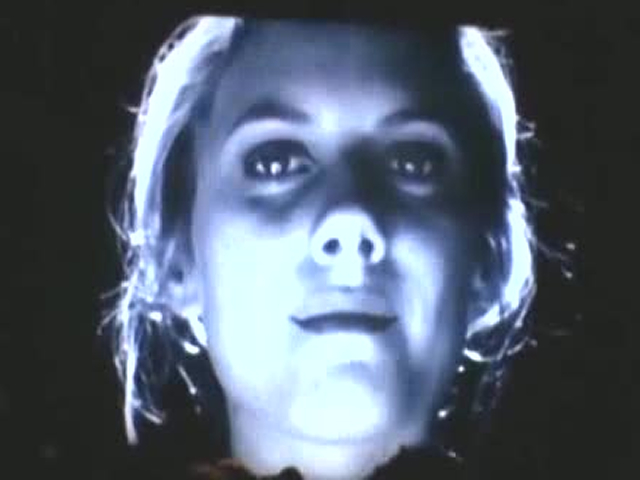 I venture to say that Big Face Shoshanna borrows, from among other places, Riefenstahl’s illuminated face. There are various illuminations of “Junta” in the film, one full-big-face, light from the moon, out of camera, above and to the left. In IG the light source is to the left and below. From hell, one might say..
Would like your thoughts or criticisms on my Rief. 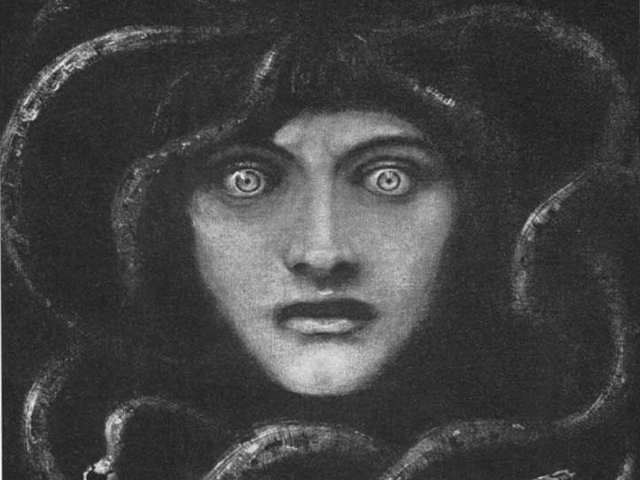 idea, and whether any illuminated “big faces” appear elsewhere in Rief.’s work. There is another coincidence between IG and Licht that’s quite funny. I’ll tell you later, don’t want to prejudice your judgment on my big face theory! Aha, I haven’t seen The Blue Light. But that connection is sure as hell possible. Because QT already compares her to Leni throughout the film, right from her introduction shot to her climbing the pseudo-mountain of the projector table. And let me guess, is she burnt down by the villagers at the end, like Joan of Arc? That would be something. At the end, the villagers raid the crystal cave. Junta climbs ever higher on the mountain, looking for more crystals or purity, and slips, or lets go in defeat, and falls to her death. The priest finds her and she gets a proper, respectful burial. Ironically, in return for making the village rich. The last line of the synopsis is wrong. Her suitor finds “the secret”, himself and tries to convince Junta how everyone will be rich, including her, and she can leave the mountain. But she does not speak German and does not want to leave the mountain.. If you plan to see Blue Light soon, I won’t tell you the joking about it in IG. (hint: accents and Brad Pitt ) Otherwise, I will tell. Now that I think of it, the dairy farm may be analogous to Junta’s mountain house–there is a shepherd boy too with flocks of sheep and goats. But you have not seen Blue Light so I am intrigued to read your thoughts about the Rief. parallels in the introduction shot, and elsewhere. I will check out the projector table shot soon. Last night I started reviewing the dvd for my paper which I hope to get out soon. Best wishes for your paper (BTW, is it an academic paper or a newspaper? I’m interested anyway). Will try to catch The Blue Light ASAP. Thanks a ton, JDM, for the tip. Good Lord. I guess I got the jackpot. The Cahiers Interview. Just sample the first paragraph to see how QT can be sober. Oh, BTW, Here is the script: Part1 and part2. A fascinating piece, brilliantly written. I was preparing my own in the near future if you’re interested. It is a film, despite its thematic, moral and historical density, that left me cold, untouched and unimpressed. Hello. I have just posted my impressions. They aren’t fully polished as yet and nor as superbly expressed as yours.